The Association of South East Asian Nations (ASEAN) Handicraft Promotion and Development Association (AHPADA) was established as a result of a Workshop on Handicraft for Export held as part of CONEX’81 which was hosted by the Royal Thai Government in February 1981 in Bangkok. AHPADA was formally inaugurated in Jakarta in March that year as a forum for both the government and private sectors concerned to meet and to complement each other in the promotion and development of arts and crafts activities. AHPADA is affiliated with the ASEAN and the World Craft Council. The Founding Members of AHPADA are Thailand, Malaysia, the Philippines and Indonesia. Singapore and Brunei Darusalam, Cambodia, Lao PDR, Myanmar and Vietnam joined AHPADA in September 1999. The 1st AHPADA International Arts and Crafts Expo is organized by the AHPADA Philippines, fully supported by the Philippine Government and the private sector like this Forex brokers portal. 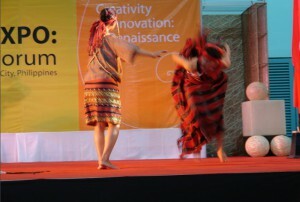 The Expo provides a platform to raise the level of awareness about the importance of arts and crafts in ASEAN countries. The Expo likewise serves as a one-stop marketing venue for the products of AHPADA’s craftspeople. It is with great pleasure that I send my greetings to all participants at the 2nd AHPADA International Arts & Crafts Expo to be held on October 26 – 28, 2019 at the Philippine Trade Training Center, Manila, Philippines. The growth and interest in arts and heritage are occasioned by increasing awareness of culture, more leisure time, ease and speed of travel, greater affluence and access to cultural arts facilities. Nurture a spirit of cooperation and sharing between artists, craftspeople and producers and counterparts in other parts of the world. 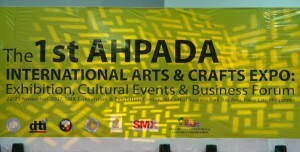 We welcome you to the 2nd AHPADA International Arts & Expo! Noting that the diverse range of natural fibers produced in many countries provide an important source of income for farmers and can play an important role in improving food security, eradicating poverty and contributing to achievement of the Millenium Development Goals, the UN Assembly, on 20 December 2006, decided to proclaim 2009 as the International Year of Natural Fibers (resolution 61/189). The Assembly encouraged the Food and Agriculture Organization (FAO) of the United Nations, regional and international, all Governments, the United Nations system and all other actors to take advantage of the Year to increase awareness of the importance of these natural products. It called upon Governments and relevant regional and international organizations, and invited non-governmental organizations and the private sector, to make voluntary contributions and lend other forms of support to the Year.